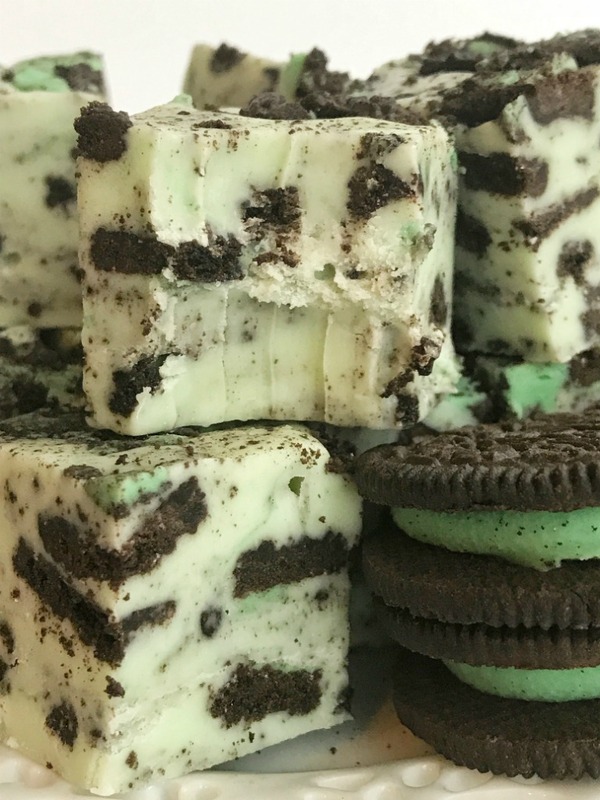 Mint Oreo fudge loaded with chopped mint Oreo cookies in a smooth & creamy white chocolate fudge. Takes just minutes to prepare! Cut into small pieces and serve a crowd or give plates to your neighbors for a delicious Christmas treat. Hey friends! I truly hope you all had a wonderful Thanksgiving. I was thinking through out the day how grateful I am for all of you, my readers, and even those that just come to get a recipe. Now that Thanksgiving is over Christmas can take center stage. Maybe I am old old-fashioned but I always wait to decorate for Christmas until the weekend after Thanksgiving. Thanksgiving is my favorite Holiday so I want to enjoy it. But then right when it’s over I am all about Christmas! Christmas + fudge are like the greatest combo ever. I love fudge because it’s so versatile. You can add all sorts of mix-ins, dark chocolate, milk chocolate, white chocolate. I also like fudge because it’s easy to have portion control with it cause it’s so sweet. One little square is enough for me. Unless the fudge is loaded with Mint Oreos then I have no control. Those cookies are my weakness which is the reason why I NEVER buy them! I love them too much, haha 🙂 A creamy, smooth mint fudge loaded with chopped Mint Oreos is basically fudge perfection. 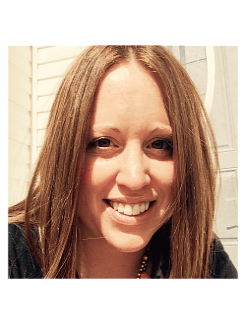 The best part is that you don’t even need a candy thermometer! Just heat on the stove top and pour into the other ingredients and stir. The hardest part is waiting while it sets up in the fridge. For thicker fudge : line a 9x9 baking dish with parchment paper or tin foil. Spray lightly with cooking spray. For thinner fudge : line a 9x13 baking dish with parchment paper or tin foil. Again, make sure to spray the tin foil or paper to avoid sticking. In a large mixing bowl add white chocolate chips and marshmallow fluff. Set aside. In a saucepan, over medium heat, add butter, sugar, heavy cream and salt. Bring to a boil and cook for 5 minutes, stirring occasionally so the sugar does not burn. Pour butter mixture into the bowl with the white chips and marshmallow fluff. Let sit for 2 minutes so it can melt the chocolate and fluff. Add the mint extract and use a handheld blender to mix everything together until combined and smooth. Stir in crushed Oreos (make sure to reserve about 1/2 cup to sprinkle on top) and pour into prepared baking dish. Sprinkle the reserved Oreos on top and gently press down. Refrigerate for 6-8 hours. Cut into small squares and trim edges if desired. I think the fudge gets better and less sweet after it's been in the fridge for 1 day. I use salted butter because I don't like my fudge over the top sweet. You can use either salted or unsalted butter. It's entirely up to your preferences. I have made this in both the 9x9 baking dish and a 9x13 baking dish. The one will yield a thick, bigger piece of fudge while the larger pan will yield more pieces that are thinner. Use whichever you prefer.